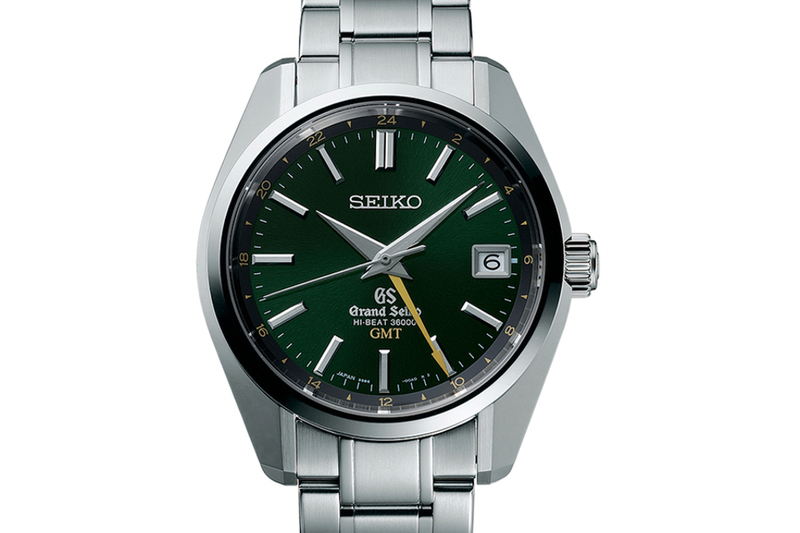 Grand Seiko is a brand for the informed watch buyer. On occasion, I have published articles about amazing timepieces from this high-end arm of the Japanese watch company and it has elicited a plethora of comments on social media. The majority of comments have been highly complimentary and many of the opinions expressed are clearly based on a thorough understanding of the marque’s attributes. Indeed, it is the appreciation of the subtle nuances of Grand Seiko which results in judicious recognition of these fine timepieces. Seiko is a large watchmaking concern. It produces watches costing less than £100 which prove both accessible and functional. Whilst I do not pretend to harbour a burning desire to acquire a modestly priced quartz model, I accept that these timepieces fulfil a need and successfully serve a large market sector. Moreover, with the well documented Japanese mastery for mass production, Seiko has produced quality watches for a number of years, which represent incredible value. However, Grand Seiko is the antithesis of mass production. The manufacturing capacity of Grand Seiko is relatively small, with much hand craftsmanship employed in order to bring the watches into being. The GS logo adorning a timepiece confers a totally different ownership proposition from its more commonplace sibling, Seiko. Furthermore, while there are some quartz models in the Grand Seiko catalogue, there are also some incredible mechanical timepieces which incorporate a multitude of talents that I find difficult to ignore. This year, at Baselworld 2014, Grand Seiko did not disappoint with a delectable feast of horological delicacies. Indeed, I have been yearning to buy a Grand Seiko for a while and this year’s array of novelties provided a mouth-watering prospect to tempt me into parting with my own hard-earned funds. Two models particularly stood out as exceptional and currently occupy my nocturnal thoughts, piquing my avaricious tendencies. In 2009, Grand Seiko launched its hi-beat calibre 9S85. This self-winding movement has a frequency of 36,000 vph (5Hz), a power-reserve of 55 hours and features 37 jewels. Accuracy is specified as -3 to +5 seconds per day. The primary appeal of this movement has always been its exceptional finishing. Close examination with a loupe reveals beautiful decoration which surpasses some so-called haute horlogerie movements. A few weeks ago at Baselworld, Grand Seiko revealed a new movement based on the hi-beat caliber 9S85, the new caliber 9S86. It is an evolution of the calibre 9S85, incorporating a GMT function. Whilst Grand Seiko has offered some superb GMT timepieces previously, including a personal favourite, the SBGM029 featuring the calibre 9S66 this is the first time the company has made a hi-beat movement with a GMT function. Grand Seiko has produced three versions of the model. Namely, a limited edition model, featuring a verdant green dial and restricted to only 600 pieces, and two non-limited variants, with white and black dials. The distinctive green dial is said to be inspired by Mt. Iwate, a mountain visible from the brand’s Shizukuishi Watch Studio where all Grand Seiko mechanical watches are designed, manufactured and assembled by hand. I am sure the limited number of pieces will be eagerly snapped-up by fellow admirers of GS. 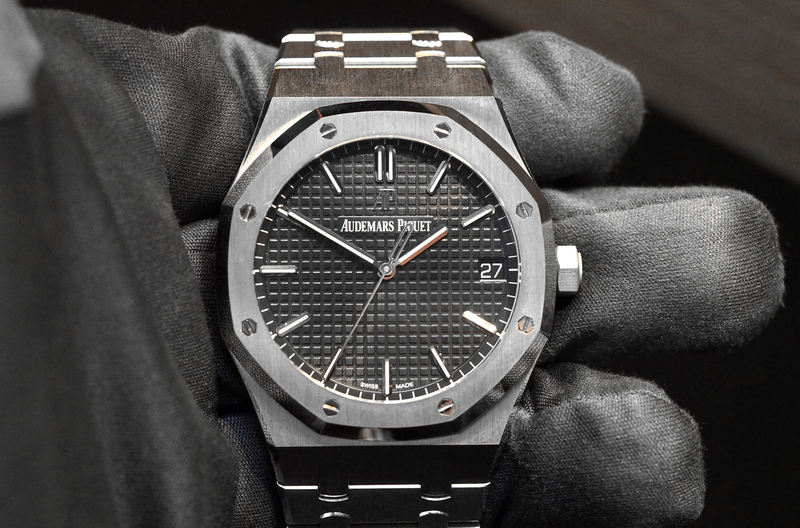 All three models feature an exhibition caseback. In addition,the limited edition green dial model, created to celebrate the launch of the new calibre 9S86, features a unique oscillating weight. The titanium open-worked rotor and has an unusual design and is treated with an anodic oxidation, imparting a gold-like tone. The resultant appearance is delightful and innovative, helping to differentiate the timepiece from other mechanical watches on the market. The case is based on the gorgeous 44GS design, a model revealed at Baselworld 2013 which stole my heart with its unique brand of classicism. I reviewed this watch on Escapement last year and have said much about its many qualities that are distilled to a matchless standard. A notable aspect of Grand Seiko is its profound talent at polishing steel. Indeed, the silk-like, blemish free surface of the case band, bracelet and bezel is probably the most impressive stainless steel ensemble I have ever felt. The inside of the bracelet features sculpted, smooth, concave links which softly kiss the skin with a notable lightness. The elevated comfort of the bracelet cannot be overstated. The watch, courtesy of its discreet diameter of 40 mm, resides on the wrist gently and such is its ethereal presence, it feels almost like a second skin. Again at Baselworld 2014, Grand Seiko launched three new models incorporating its incredible Spring Drive movement. A limited edition platinum model, the SBGA107, is stunningly beautiful and features a cream coloured dial and black crocodile leather strap which imbues the model with a vintage persona. Whilst I like the SBGA107, I prefer the steel models, the SBGA103 and SBGA105, both of which share the same case and bracelet ensemble. They are both very beautiful. The silvery-white variant has a pure and chaste character. Close examination reveals exquisite dial detail, with a textured surface that engages with light in charming discourse. However, the blue dial version, with its rich, deep azure hue is my preferred model. The contrast of the applied, polished hour markings with the blue, sea-like vista is sublime. Spring Drive is technically incredible. 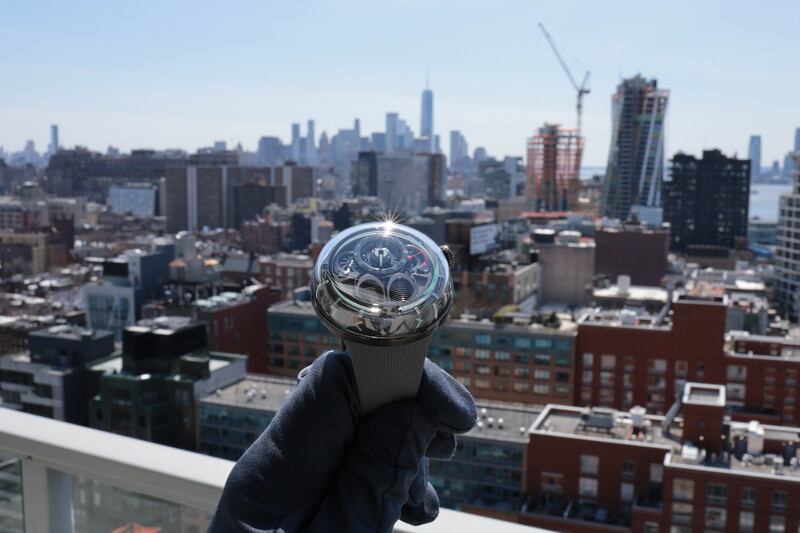 Some will wrongly assume that it is a quartz movement, but it is a mechanical movement, harnessing much ingenuity to deliver a breathtaking accuracy of +/- 0.5 seconds per day precision. 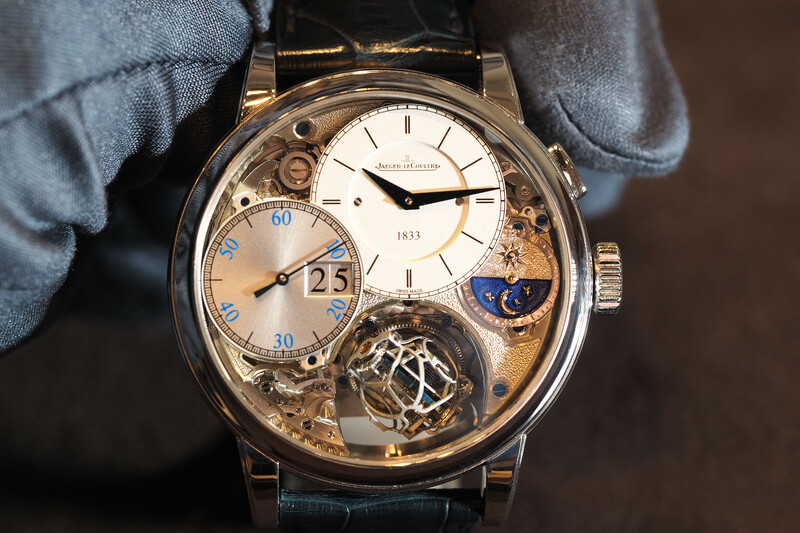 Furthermore, the central seconds hand has a unique smooth, continuous gliding action which is mesmerising to behold. I recently reviewed the SBGA011 on ESCAPEMENT which features the Spring Drive calibre and, within my article, I provide a technical overview of Spring Drive. Since I first placed a Spring Drive on my wrist, I have wanted to own a Grand Seiko timepiece incorporating this exceptional movement. Although I have focussed on just two models from the novelties presented by Grand Seiko, there are several models within the brand’s range which readily engage with my heart and cause me to swear undying love. Those individuals who seek to conspicuously flaunt their wealth may not be attracted to the charms of Grand Seiko. Indeed, some may foolishly succumb to the outré and flamboyant. This is wonderful, as it allows those individuals, like myself, who seek technical excellence, to seriously contemplate owning one of the special watches which bears the GS logo, at prices which confer very good value and have not been driven up my by the misguided. However, I suspect as more individuals discover Grand Seiko, prices will inevitably rise. Manufacture movements are becoming increasingly popular. However, Grand Seiko is a Manufacture in the truest sense making every watch component from sapphire crystals, synthetic rubies, hairsprings, mainsprings and even its own lubricants. The technical prowess and broad range of competences is remarkable and takes the notion of vertical integration to a level few brands could ever envisage. I have not hidden my admiration of Grand Seiko in this article, it is a brand for the purist and technically savvy. Indeed, it is not a question of if I will buy a Grand Seiko, but rather when and which model. Retail price on the Hi-Beat 36,000 GMT Limited Edition (Ref. SBGJ005) is $7,250. Retail price on the Spring Drive (Ref. SBGA105) is $6,500.